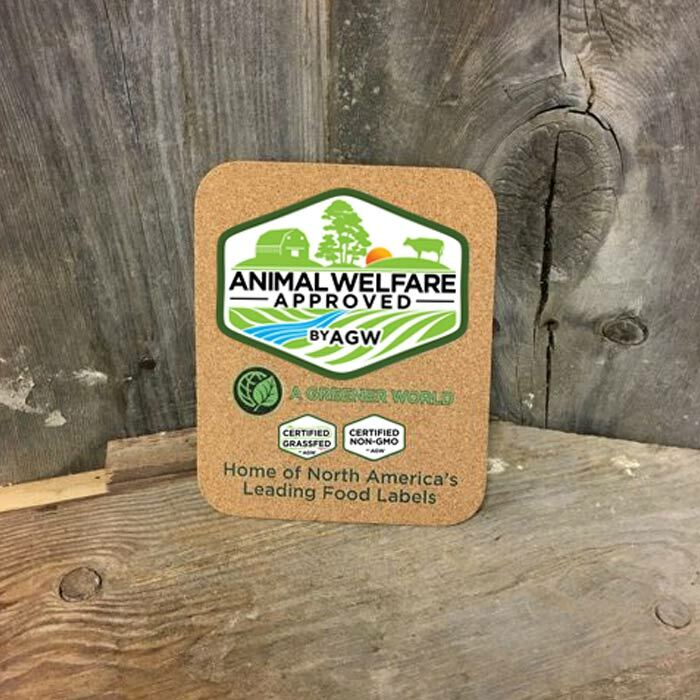 Certified Animal Welfare Approved by A Greener World (AGW) is proud to offer Certified Animal Welfare Approved by AGW branded egg cartons at a competitive cost to Certified Animal Welfare Approved by AGW farms that hold a current approval for laying hens. 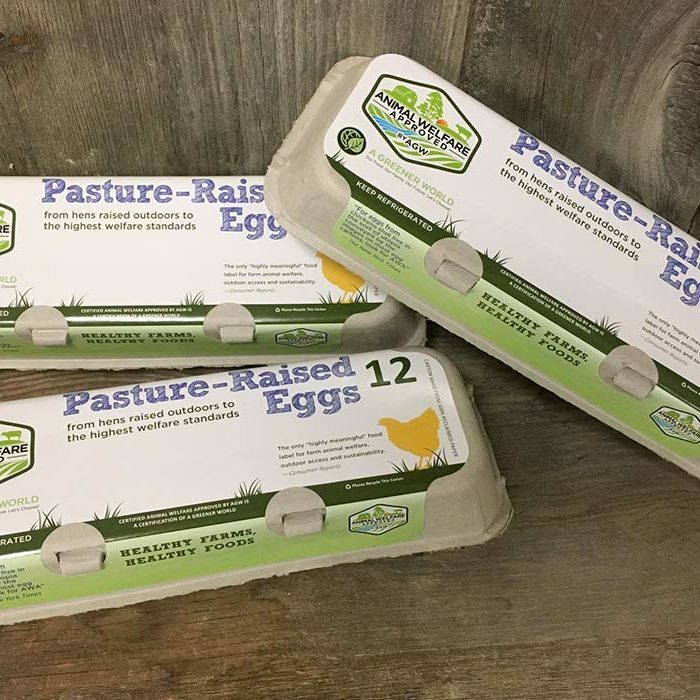 Made with 100% reclaimed paper, the striking and informative dozen-egg carton enables Certified Animal Welfare Approved by AGW family farms to market eggs locally in a container featuring the Certified Animal Welfare Approved by AGW logo and the clear message that the eggs are from pastured, high-welfare hens. Uniquely, there is space on the outside of the carton for a farm specific label, and on the inside there is space for a nutrition facts label. Parcels of 200 dozen-egg cartons are available for $36 each plus $14 shipping & handling per parcel. A Greener World does not ship to PO Boxes. Please allow up to 3 weeks for delivery. Please order early to ensure timely delivery. For questions, please read the FAQs below or contact us at (541) 526-1119 or info@agreenerworld.org. 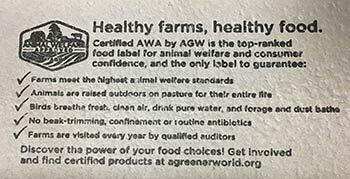 Who can use Certified Animal Welfare Approved by AGW egg cartons? 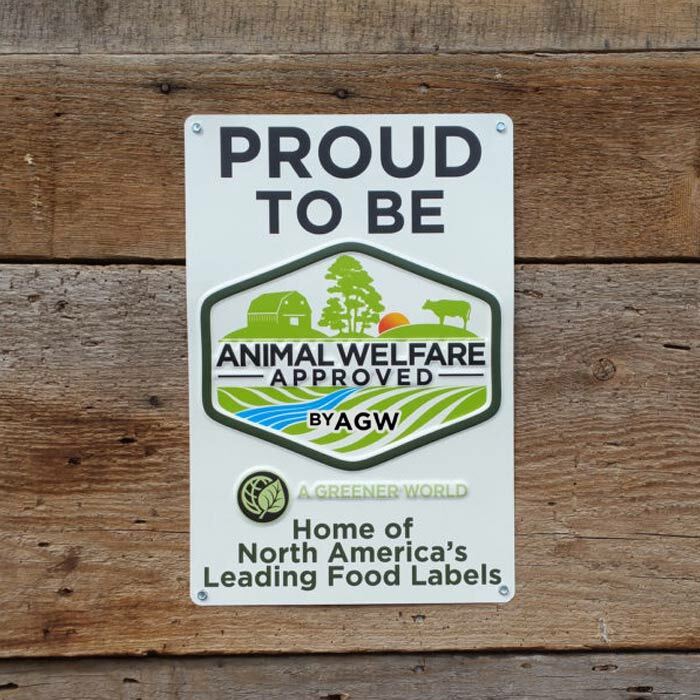 Certified Animal Welfare Approved by AGW farms that have been audited and approved for eggs. What size are the egg cartons? Certified Animal Welfare Approved by AGW egg cartons are standard sized egg cartons, holding one dozen medium, large or extra-large eggs. What information is provided on the Certified Animal Welfare Approved by AGW egg carton? • Safe Handling Instructions: To prevent illness from bacteria: Keep eggs refrigerated, cook eggs until yolks are firm, and cook foods containing eggs thoroughly. How do I personalize the carton to make it specific to my farm? You may wish to customize cartons to your farm and eggs with labels. We designed the carton to incorporate a blank space on the outside of the top lid for farm specific information. This space is ideal for a printed label, although you can also write directly on the box. 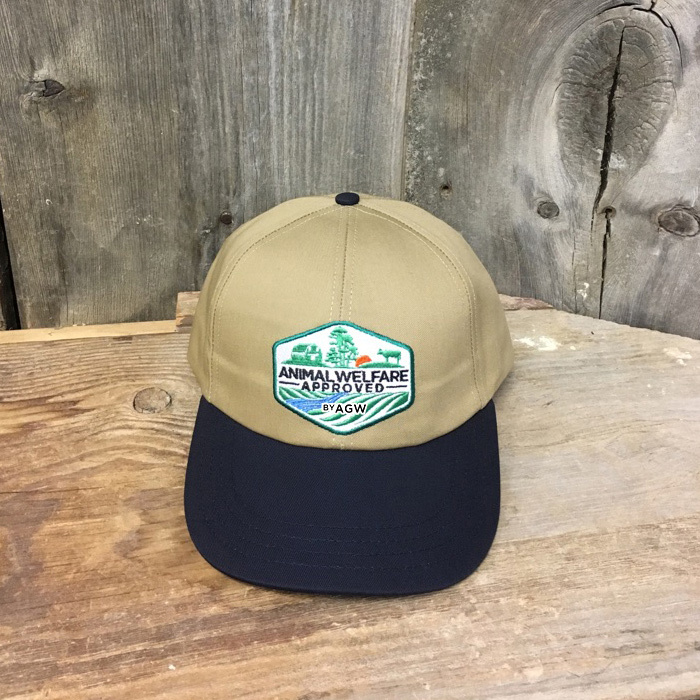 The space provided is 1.33” x 4” and corresponds to standard manufactured printer labels. 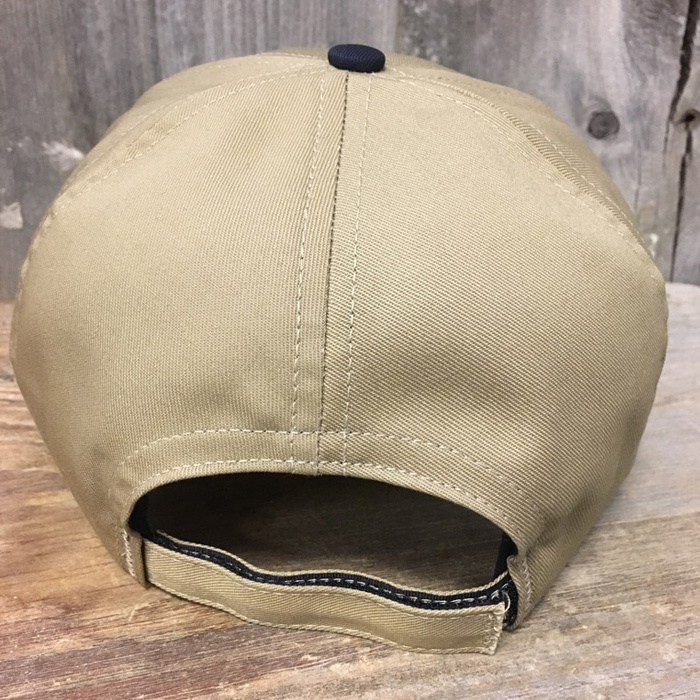 Where can I purchase blank labels? Labels can be purchased from your local office supplier or from online office supply sites. What farm specific information might I need to include on the carton? How do I find out my state egg labeling requirements? Contact your State’s Department of Agriculture for egg labeling requirements. Labeling requirements can vary depending on number of hens in production, number of eggs sold each week, where eggs are sold, and who is buying the eggs. Will A Greener World ensure that I meet federal or state labeling requirements? No. 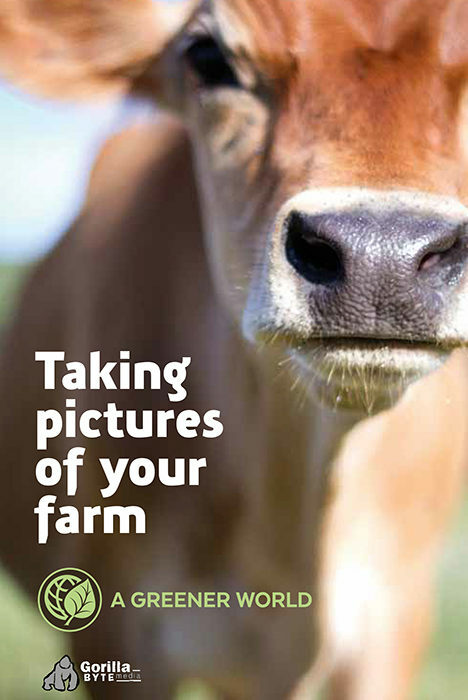 It is the responsibility of each farm to ensure that its labeling is accurate and legal. 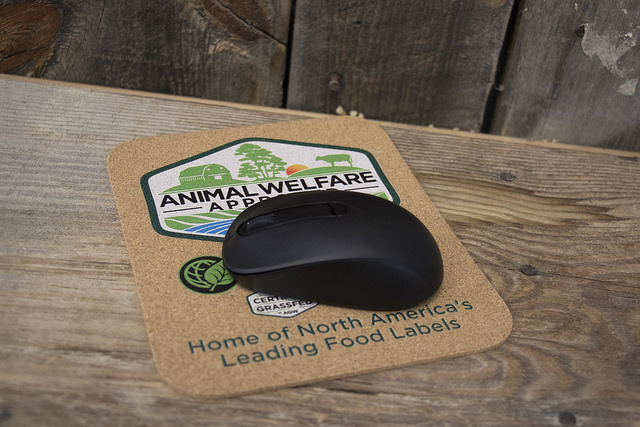 Who creates labels that are affixed to the Certified Animal Welfare Approved by AGW egg carton? 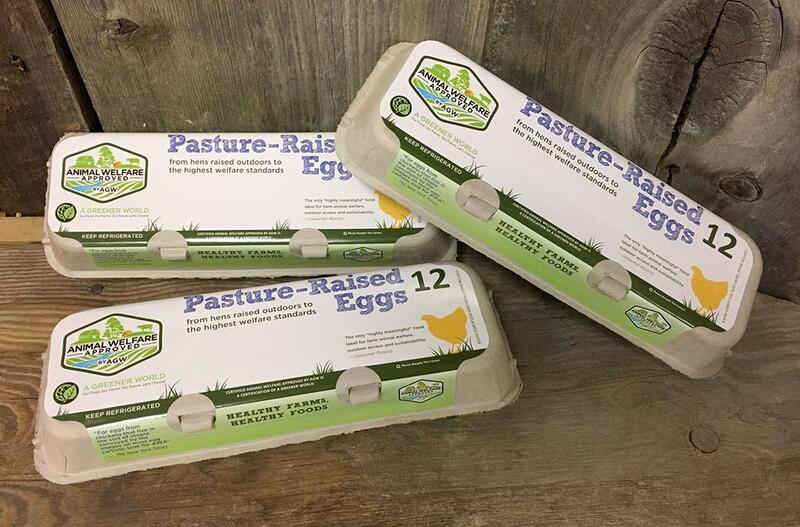 Each farm is responsible for creating labels specific to their farm and eggs. Who affixes the farm-specific labels and/or nutrition labels? Each farm is responsible for affixing its own labels to the egg carton.